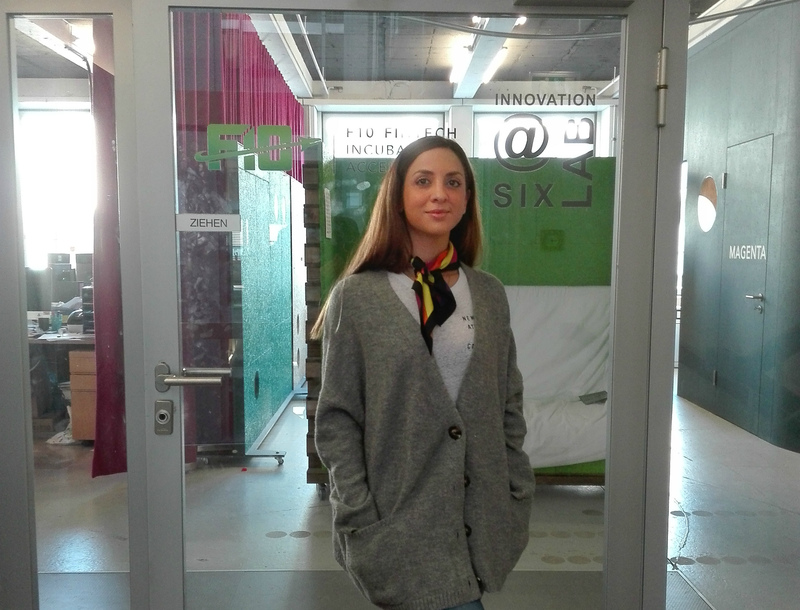 Sofia Oikonomou is a Junior Startup Coach at F10 Accelerator in Zurich. Sofia is responsible for P1 (Idea-to-Prototype Program) and shares with us how things work at F10, what is the P1, the P2 and how to get there. Sponsors: SIX, PwC, Baloise Group, Generali, Julius Bär, ERI bancaire, Eny finance, Zurcher Kantonal Bank. Partners: Digital Festival, TED, Finance 2.0, SICTIC, Process Brand Evolution, BlueGlass, Swiss Finance + Technology Association, NOIVA, Go Beyond, VISCHER, Pioneers’ Club PCU, Fintech News Switzerland. First batch: Apiax, Enterprise Bot, Futurae, Traderion, Veezoo, Lendity, Sonect, Wealth Initiative, Xchain. Total investments: CHF 10.2 million. Current/Second Batch: Appetita, Billte, Riskifier, Shiftdevices, vestr, Lings, Rapid Data, CashSentinel, DataXL, dealpool, Brainlyzed, Synacts, Think Yellow. Sofia, let me start with startups. You work at an accelerator that is fully engaged in FinTech. How do people or startups get into your programs P1 and P2? As a very young accelerator, we count only 2 years in life. We focus on FinTech but also InsurTech (insurance Technology) and RegTech (regulation technology). For the P1 program (Idea to Prototype), we have a combination of random applications through our website as well as from employees of our corporate partners. We have three challenges and the goal is that the participants form teams and come up with solutions within 48 hours. To find suitable startups for our P2 (Prototype to Product) program, there is a whole process taking place. First, we do trend workshops with our partners (SIX, PwC, Baloise Group, Generali, Julius Bär, ZKB). During these workshops, they tell us about trends they are interested in or areas where they see potential in the future. Our next step is to scout for startups at conferences, startup events in Switzerland as well as all around the globe to meet as many promising startups as we can. Currently, we do the Tour de Suisse. Last month we were at conferences in Silicon Valley, Las Vegas, Singapore and here in Europe. At the last step, we screen all applications to select the best 50 startups. Through interviews and pitching sessions, we end up with the top 15. For instance, for the current badge, we received more than 250 applications. Very important is that we don’t take any equity from startups we accelerate. We also give each startup CHF 15.000 to cover their expenses as long as they reach the milestones set. 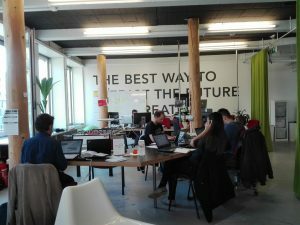 The teams can work here in our offices in Zurich if they want but we require from them to be physically here for 6 weeks where the intensive coaching takes place. What are the main things you look at when accepting candidates? For P1, it’s all about design thinking process for people who want to become more entrepreneurial or intrapreneurial. In this P1 program, we form teams with people who have compatible skill sets and different backgrounds mainly from the finance. The goal is to come up with great business ideas or to meet co-founders and network. The next date for the P1 in cooperation with the Idea Race by Six is February 9-11, 2018. For P2, it is different because we accept teams with at least 2 members. Then, we look if they have already identified a gap/problem in the market and can present some value for their customers. Together with our corporate partners, we look at their prototype and the potential of the idea/team. P1 “Idea to Prototype” Accelerator Program 2018. Apply here. P2 “Prototype to Product” Accelerator Program 2018. Apply here. Your ticket for demo day.